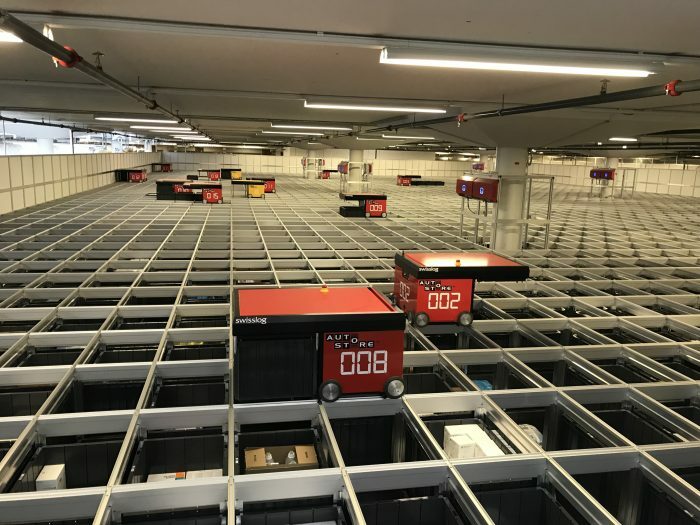 Swiss Post is even where you would not expect it: Since 2016, Swiss Post has been operating a temperature-controlled logistics centre in Villmergen in the canton of Aargau, which is specifically designed for storing medical devices and pharmaceutical products. «This logistics centre is the heart of a complete logistics solution for hospitals, clinics and medical institutions», explains André Brühlmann, Head of the facility. Tampons, compresses, disposable syringes, infusions, catheters and implants are safely stored and immediately accessible if necessary and can be transported rapidly to the hospitals and medical institutions. Brühlmann also points out not without pride that the centre is «the only fully automated logistics centre in Switzerland» which is specially designed for the healthcare industry. All medical devices are stored in high-security temperature-controlled areas and in compliance with the requirements for dangerous and sensitive goods. André Brühlmann explains how the centre works: «19 robots quickly move to the selected medical products stored in 20,000 containers across an area of 900 square metres and take them to the packing station in the blink of an eye». In the blink of an eye, the robots bring the desired medical products to the packing station – fully automatically. At the packing-station: An employee from the Post assembles the various products in an order and packs them in plastic containers. Every day, some 300 roll boxes leave the warehouse. The Hirslanden Group, which operates 17 hospitals in Switzerland, receives all its supplies from Villmergen. «Since we have relied on Swiss Post’s automated solution, quality and productivity in the supply chain have increased measurably», says Martin Huber, Head of Logistics & Systems at Hirslanden AG. The advantage for hospitals and medical facilities is not only that they can depend on a reliable supply at all times, but also that they do not have to store and manage these devices themselves. The motto is: Everyone does what they do well – that’s why Swiss Post takes care of the logistics.